Demonstrate rotary motion from a charge. The apparatus has a 95 mm diameter, Three-pointed star wheel with all the points curved in one direction. 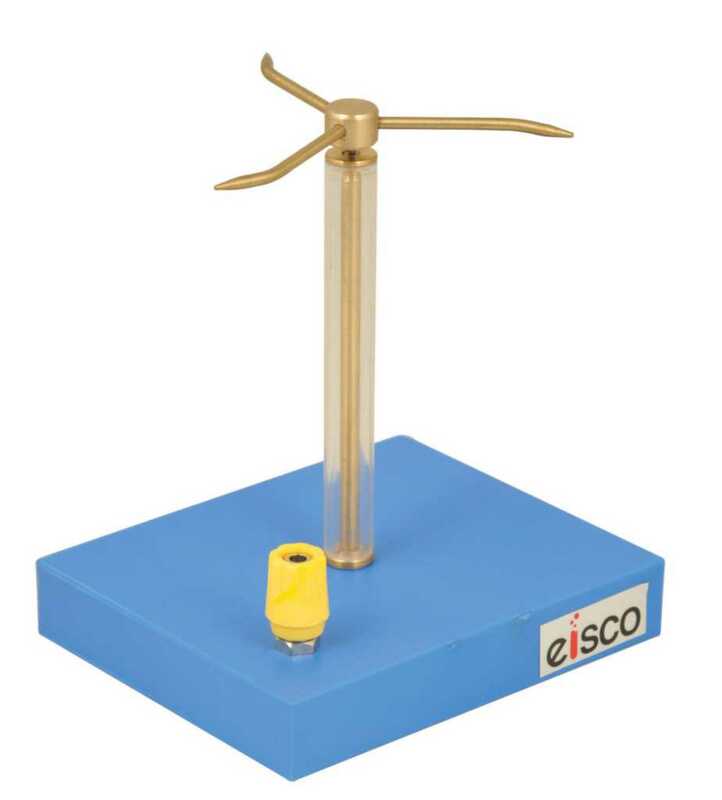 The wheel rotates freely on a pivot point mounted on a short stand and the stand is provided with a 4 mm connection socket.